Chelsea manager Maurizio Sarri has said that he does not know whether attacker Eden Hazard will remain at the club beyond this season. The Belgian is reportedly a top target for Real Madrid. Los Blancos are set to undergo a major squad overhaul this summer as they have been clearly struggling this season. They suffered a humiliating exit from the Champions League this season at the hands of Ajax Amsterdam and have not been a threat to arch-rivals Barcelona in the La Liga title race this season. 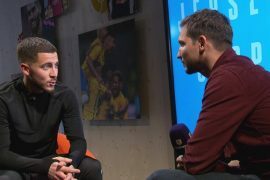 Hazard’s contract at Stamford Bridge is due to expire during the summer of 2020 and he has yet to renew his current deal with the club nor showed any signs that he is interested in doing so. This could mean that the Blues will have to sell their key player this summer in order to ensure that they get a good profit from a deal or else they may have to sell him cheaply next January or even risk losing him for free during the summer of 2020. At this stage, nobody really knows what will happen to Hazard. It is only the player himself who will know what he wants for himself. However, it is easy to see the Belgian being tempted to switch his club. He is now at the peak of his career and has yet to win the Champions League. 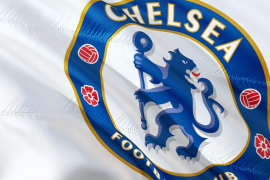 Chelsea also do not look like they are capable of challenging the likes of Manchester City and Liverpool. By joining Los Blancos, he will be joining a club who have dominated European football during recent years. “I do not know. You have two possibilities, ask Hazard or the club” Sarri stated as quoted by EuroSport. “I am not responsible for the transfer market. We need Hazard to be on top for the end of the season. Now we cannot solve the problem, the market is closed.